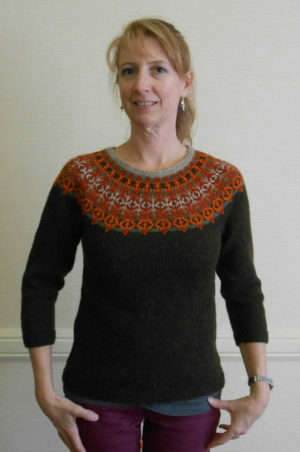 The Helsinki Sweater is a graceful, seamless yoke sweater with patterning confined to the yoke. Seven shades of oranges and soft greens emerge from the dark, dark olive body. 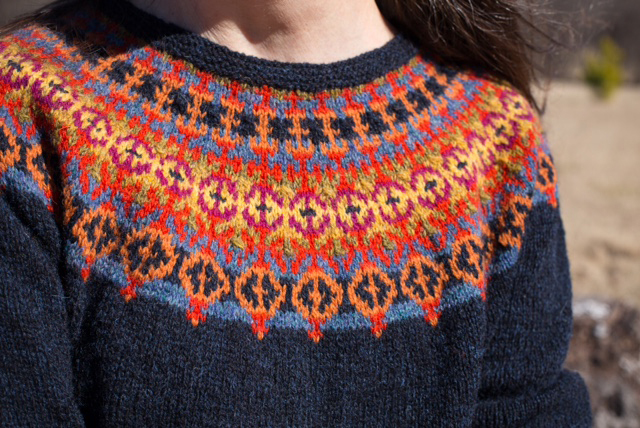 (The Helsinki Sweater is now also available in a blue-yellow-magenta (!) 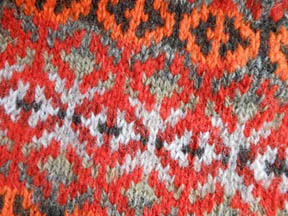 color way called Autumn in Oklahoma.) 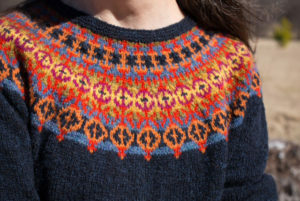 The Turkish motif combined with Fair Isle-type color use makes this easy to knit. The sweater has short row shaping to make the neckline fit well; waist shaping and 3/4-length sleeves give it a feminine delicacy. 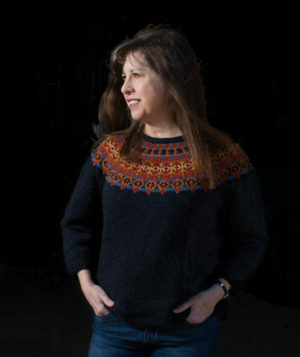 Directions are given for six sizes: 33″, 37″, 41″, 45″, 49″, and 53″ bust. 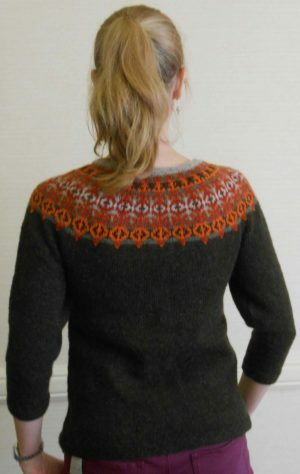 The pattern is available as a Ravelry download. When you press Buy Now you will be taken to the Ravelry page. 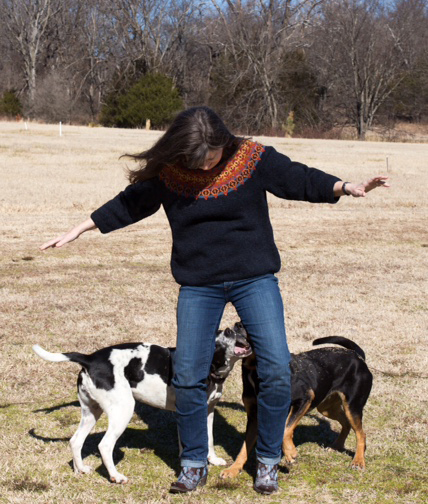 You do not have to be a Ravelry member to purchase this pattern.